The Lahore High Court has stopped NAB (National Accountability Bureau) to arrest Hamza Shehbaz Sharif until April 8. According to NAB claims PML-N leader Hamza Shehbaz who is son of former Chief Minister Punjab, Pakistan is facing charges of money laundering and accumulating assets beyond resources. Earlier on Saturday, April 6, NAB team raided Hamza Shehbaz’s house with police but couldn’t arrest the accused despite its full preparation after Lahore High Court’s order. NAB’s failure to arrest Hamza Shehbaz Sharif is annoying people who took to social media to express their anger. #HamzaShehbaz is setting a very dangerous precedent. If #NAB is unable to arrest him today. Every powerful person accused of money laundering will start beating up civil servants if they come to arrest/investigate them. Folks were annoyed at the way the NAB acted by pulling out a show outside Hamza Shehbaz’s residence. They are of opinion if NAB intended to arrest him then they should arrest him what is the point of dramatizing the situation. Now tell me either NAB is implementing LAW or against the LAW? 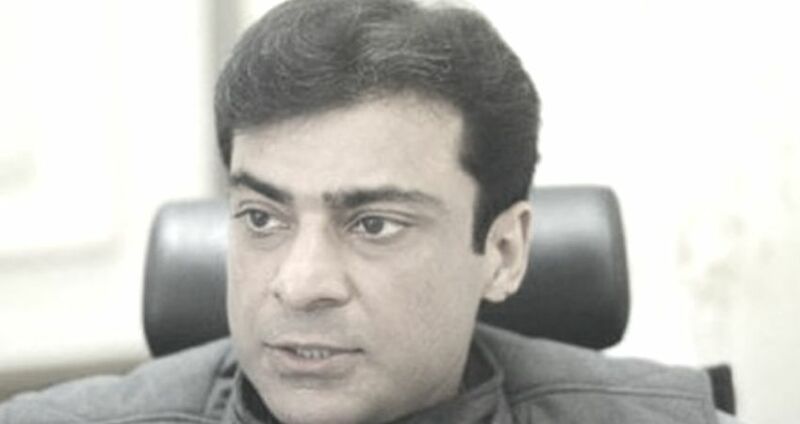 #Lahore's Accountability Court has authorised the NAB team to enter the #ModelTown residence of #HamzaShehbaz and arrest him with the assistance of police and rangers. The PML-N is losing its narrative now specially after the court's order for the arrest. People are also condemning politicians’ using the human shields to hide their corruption under the guise of politics. Social media users also opined accused shouldn’t consider that government is weak but it should consider its act as a respect of High Court’s order. Is Government Distracting Public from Price Hike? Pakistanis are already angry at finance minister Asad Umer for his government’s deplorable economic policies. So, public is also opining that this new NAB act is just to distract the public’s attention from inflation.